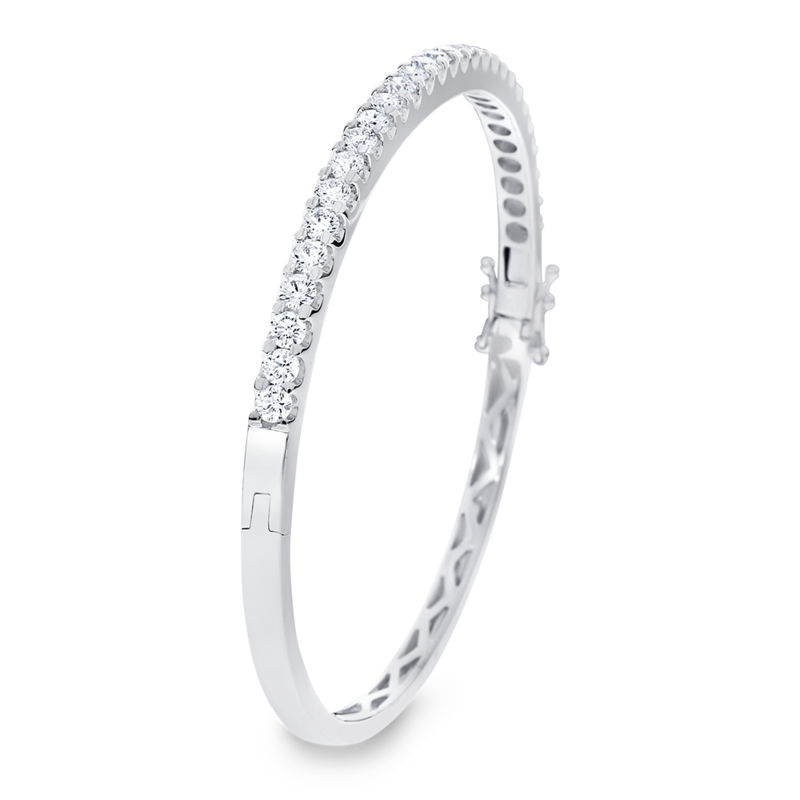 18ct white gold bangle featuring 28 round brilliant-cut diamonds in a claw set bangle for added brilliance and a sophisticated look. Total carat weight 2.24ct. Shown in 18ct white gold. Available in a range of carat weights, colours and clarities. 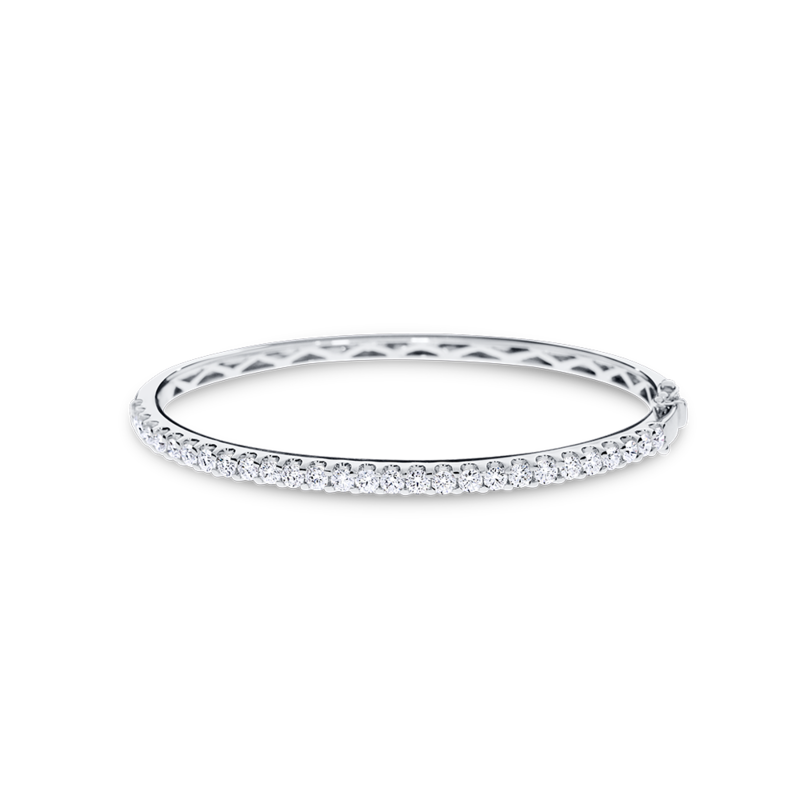 Available in 18ct rose, yellow and white gold or 950 platinum.